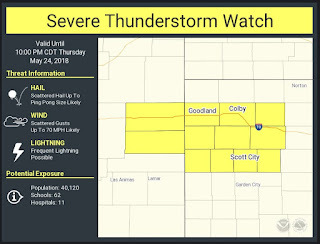 A Severe Thunderstorm Watch has been issued until 10:00pm CDT. Storms in east-central Colorado will continue to build and move east into the watch area. Hail and damaging winds will be the primary hazards. 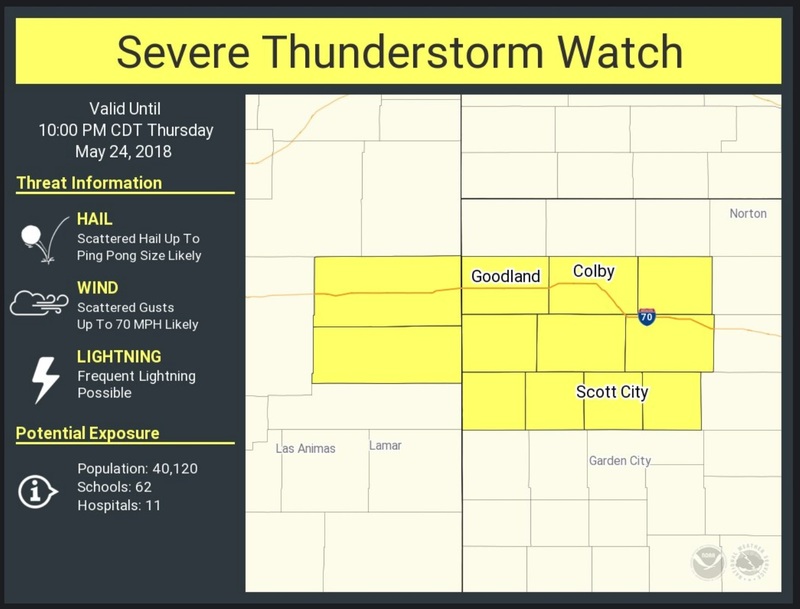 Stay weather aware, and be prepared to seek shelter indoors should a storm affect your area.